The goal of this month’s featured idea is to give you control and save you money. So what’s the big idea? Ditch real flowers and get an artificial bouquet instead. Now, I hear you balking at the very idea so before you totally dismiss it, take a look at these photos and then hear me out, will you? Would you ever in a million years have thought that this arrangement wasn’t real? Before I got married, I was very skeptical about the concept of artificial floral arrangements. I was opposed to anything fake at my wedding. The idea that always came to mind was those horrendous silk flowers you see at your local arts & crafts store. Can anyone say ta-cky? But those days are long gone. 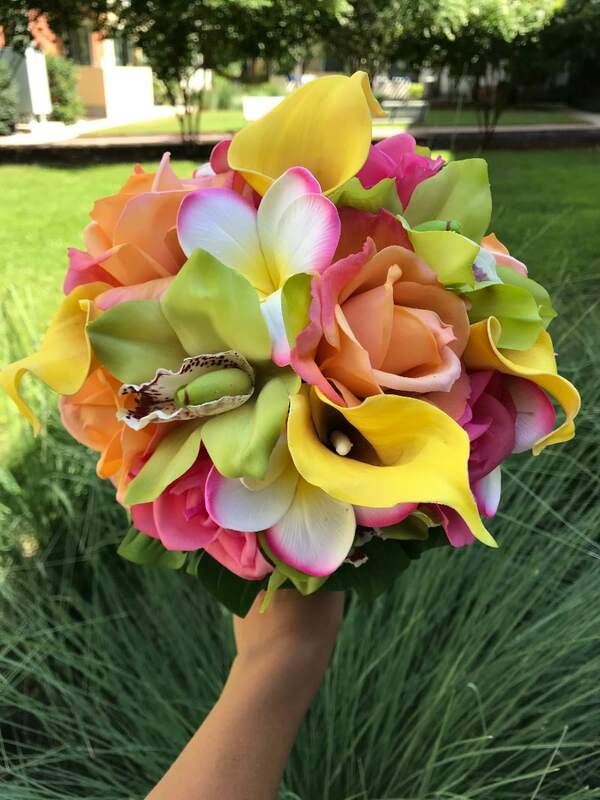 In this day and age, there are some amazing suppliers who can custom create the wedding bouquet of your dreams. And it will look so real, you’ll have to see and touch it to believe it. And I can almost guarantee that none of your guests will ever know – unless you let them in on your little secret. 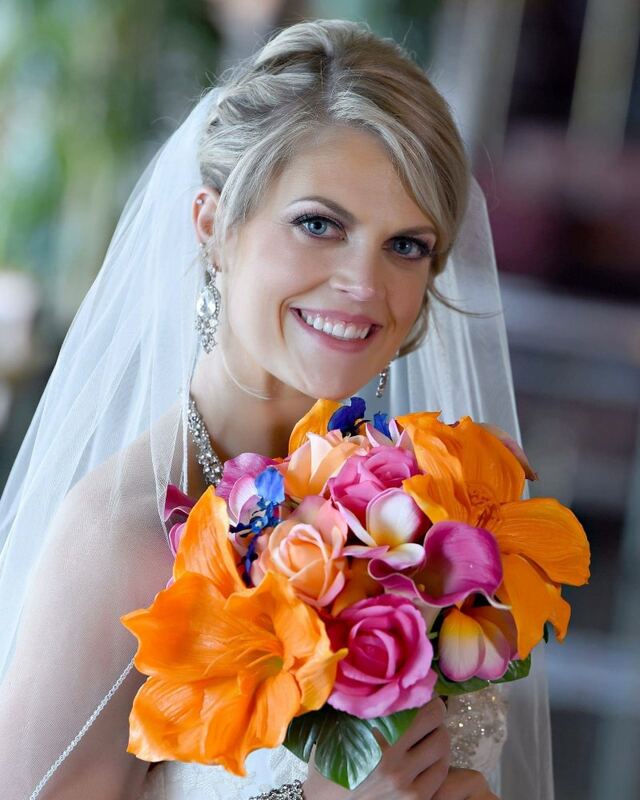 If you or your bridal party are allergic to flowers, artificial wedding bouquets are a no-brainer. 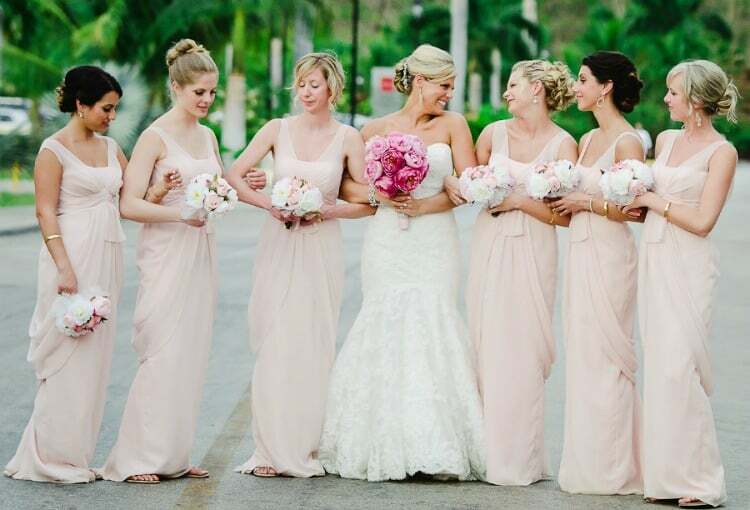 But there’s a lot of other good reasons to go with real touch bouquets when you’re having a destination wedding. For starters, many resorts will give you limited options for your flowers. The bouquet you’ve always dreamed of might not be in season or might be really hard to come by in your destination. Even if the resort gives you the option of ordering your desired flowers, it typically comes with a hefty price tag. And you won’t even know what you’re getting until the day of the wedding. And worse of all – they die. Yep, you pay all that money and you’ll be lucky if your flowers make it through the heat and humidity long enough to see the first dance. And that’s why I think real touch flowers are so awesome. 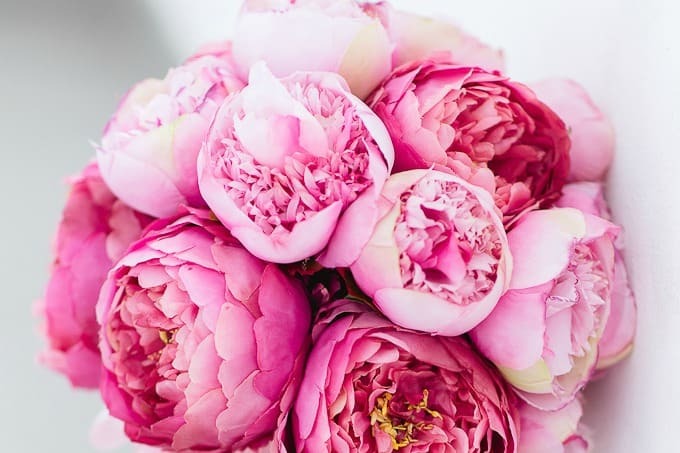 Most suppliers will send you pictures of your bouquet so you can approve them before they’re shipped. And you get to bring them back home and keep them as a keepsake forever. 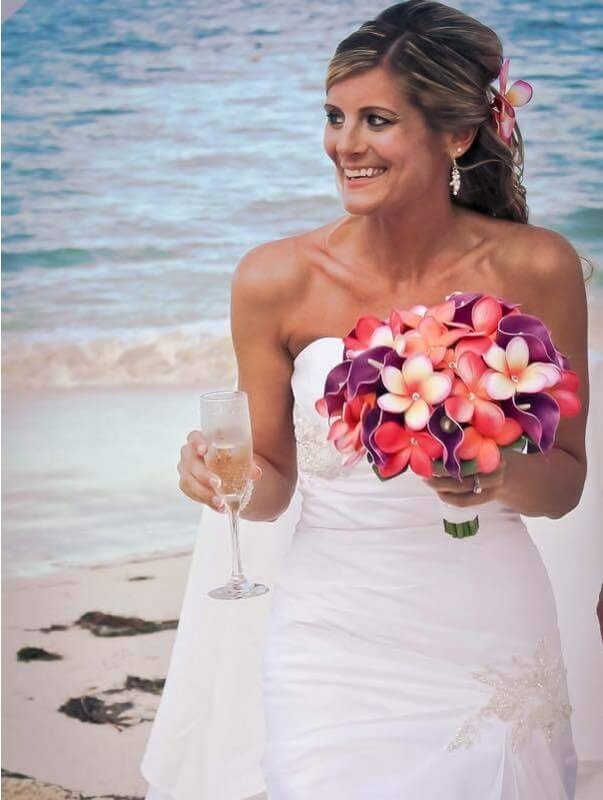 I get a ton of Real Destination Wedding photo submissions and as it turns out, the flower arrangements that have always blown me away turn out to be the artificial ones. 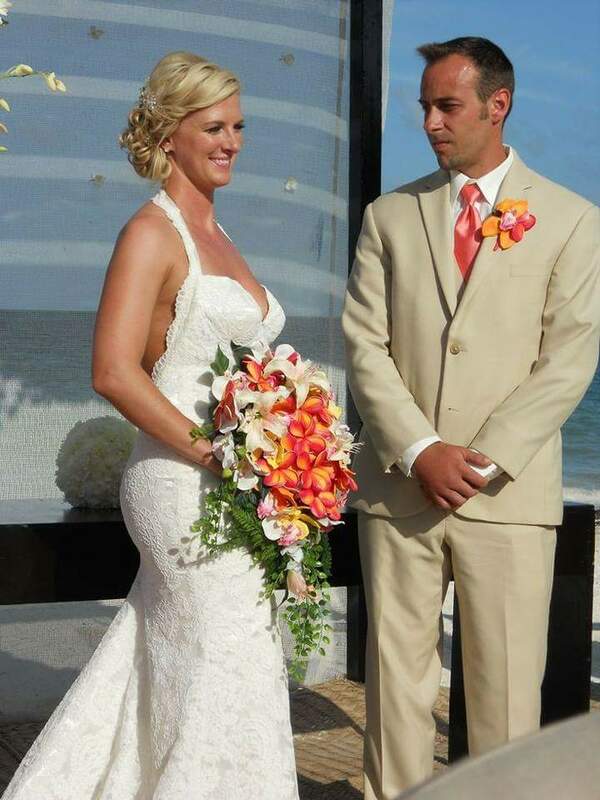 And here are some other photos from real brides who used Plumeria Bouquets for their weddings. 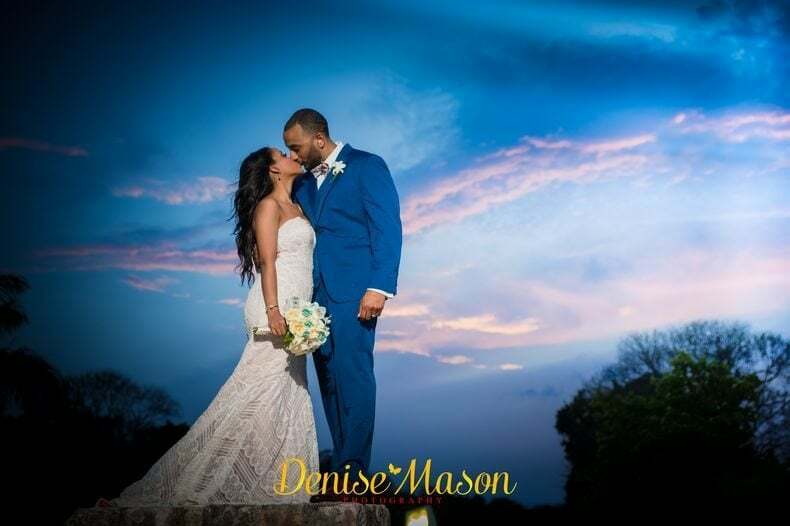 Angel’s Accents and Wedideas are two other popular suppliers among destination wedding brides although I can’t personally vouch for them or endorse them because I’ve never seen their flowers in person.